Students and professors in the Arts Division are most likely familiar with a woman dressed more commonly in overalls than anything else. She visits every Macintosh equipped lab on campus daily to make sure all the Mac computers are running smoothly and properly. 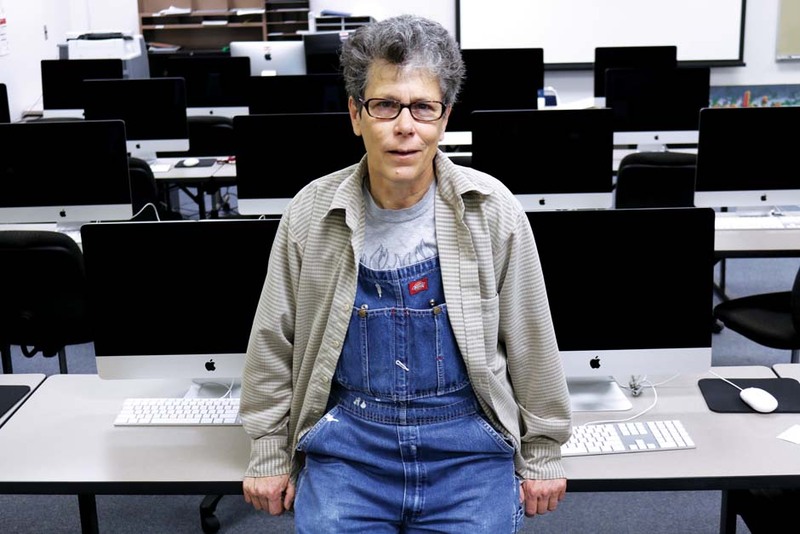 Cathy Bowman, who has been working at OCCC as a Macintosh computer technician for nearly 20 years, is going to retire in April this year. Bowman said after she retired from the Air Force in 1996, she enrolled in the Graphic Communications program at OCCC for study and entertainment and from there began her career with the college. To earn a tuition waiver during her time as a student, Bowman began work as a lab assistant for Graphic Communications Professor Lyn McDonald. Bowman said her daily work at the college has certainly changed since then. She said her job now consists more of general maintenance of the Macintosh computers in OCCC’s classrooms and labs. “Somebody calls me or emails me about the problems they face when they are using a Mac, and I come to check and get it fixed,” she said. Bowman said her skill set has developed with time. She said she’s seen many improvements around campus in her 20 years here, including what she considers a vast improvement in technology through the adoption of Macs. She said OCCC provides a wonderful working environment for all staff and faculty. She has met and worked with many good and talented people with plenty of creativity, she said. Bowman said while working at OCCC she’s had many experiences that she will remember with fondness. Some members of the college’s faculty and staff, including video production Adjunct Professor Rick Allen Lippert, have said that Bowman has left a lasting impression upon them and upon the school itself. 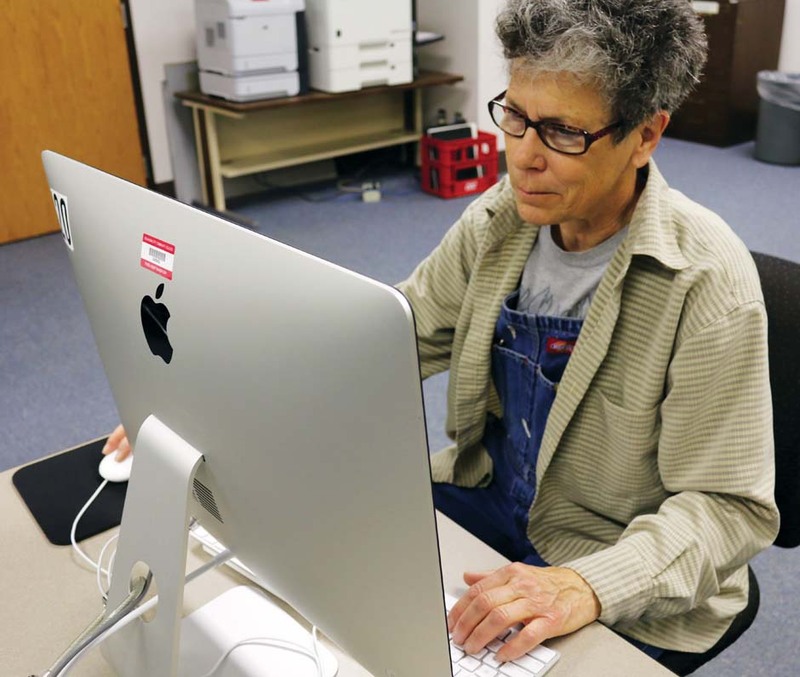 “She is an incredible fountain of knowledge about how Macintosh computers work,” Lippert said. Lippert said he first met Bowman when she was a student in his class. He said he’s worked with her a long time and has come to know her as a hardworking and responsible person. Susan VanSchuyver, English professor and former dean of the Division of Arts and Humanities, said she’s worked with Bowman and is proud to consider her a friend. “Cathy Bowman has been an extraordinary employee and friend for many years. I supervised her as a part time employee, adjunct professor, and full time employee, and she has always gone the extra mile,” said VanSchuyver. She said Bowman is an expert in her field and always goes further than her job requires by researching any area of technology. Right now is too soon to tell of future plans, she said. First, she said, she is going to miss all the good people she’s been working with for so long. Bowman said she leaves here thankful to those who landed her here in the beginning. “Thanks to Lyn McDonald and Susan VanSchuyver, who helped me out and pushed to help me get hired for this incredible position,” she said.